Change Your Thoughts to Change Your World! The service industry in the U.S. represents 80% of U.S. private-sector employment, or 89.7 million jobs. For many people with no defined specialty qualifications, service work is often a core part of their income while they train for highly skilled positions or earn money while they explore their career options. Hidden with this job sector is the evolving deployment of facial-recognition / biometric systems designed to reduce the number of employees required to do service jobs and sell services/products from a centralized source direct to consumers. Biometric technology is also becoming linked to voice systems that rely on biometric authentication to complete transactions that otherwise would be handled by a salesperson on the phone or in-person. Take a look at this scenario in terms of time and what may eventually become AI making a purchase decision for you by selecting “the best option” based on your known preferences without the need for cash and with no direct interaction with a person. As society moves toward being cashless and biometrically authenticated, in some cities homeless people are wearing barcodes around their necks in an attempt to increase donations. The organization Greater Change, gives homeless people a QR code, similar to the kind issued for online tickets. People who want to give money – but who may not have any change in their pocket – can scan the code using their smart phone and make an online payment to that person. The donation goes into an account which is managed by a case worker who ensures that the money is spent on agreed targets, such as saving for a rental deposit or for groceries. Think AI and biometrics are years away – take a closer look. Facebook’s DeepFace program can now determine whether 2 photographed faces belong to the same person, with an accuracy rate of 97.25%. When taking the same test, humans answer correctly in 97.53% of cases, or just 0.28% better than the Facebook program. Google’s FaceNet links a face to its owner with almost perfect results. Look to China for where the world of work is heading as it related to technology and how the business world is changing from people-based to digital-enabled. In Guangzhou, BingoBox has built a network of 300 fully automated convenience stores. The free-standing glass boxes, about half the size of a 7-Eleven, stock a similar assortment of merchandise, all of it labeled with RFID tags. Shoppers scan a QR code displayed on the front of the store with the WeChat app. Selected items are placed on a counter, and an RFID reader instantly and tallies the total. Shoppers pay via a mobile phone. A scanner near the door verifies that a customer is leaving with only the goods they paid for. Instead of having to go from dealership to dealership see the new models, a prospective buyer can schedule a test drive at their convenience by going online to pick up the vehicle at a Ferris-wheel-like vending machine built by Alibaba. The structure holds 30 automobiles in a stack—including models by BMW, Ford and Volvo. The fee for a three-day test drive is only a couple of hundred yuan (less than $50), but the security deposit can go up to the thousands. In the Zhejiang province famed for its sticky-rice dumplings, has equipped its outlets with an Alibaba-powered technology that allows a diner to order food on their mobile phone or a screen at the entrance of the restaurant and then pick up his meal from lockers connected to the kitchen. When his food is ready, the customer receives a notification on his phone with a locker number. The cubby clicks open as they approach. Drinks are dispensed from smart vending machines that look like refrigerators that are unlocked by scanning a QR code on the door with a phone. After the customer closes the door again, the app automatically charges them for the bottles he takes by reading radio-frequency identification (RFID) tags attached to the drinks. Retina Scanner – These scan the unique biometric pattern in each person’s iris, and match it against a certain number of unique identifying marks that set every person apart from everyone else. Iris scanning and retinal scanning are both used to identify a person according to their unique pattern, but they tend to be far costlier and more complex. Finger Print Scanner – As far as price goes, the fingerprint scanning is on the lower end of the scale. The cheapest fingerprint scanners are the ones that only scan the actual print, though the costlier ones actually scan the presence of blood in the fingerprint, the size and shape of the thumb, and many other features. These costlier systems actually capture a 3D image of the fingerprint, thereby making it much more difficult for the fingerprint to be counterfeited. Each person around the world has a distinctly unique face, even two twins that the human eye cannot tell apart. It may be something as small as the slightly different placing of the eyebrows, the width of the eyes, or the breadth of the nose. There are certain markers that enable these biometric recognition scanners to instantly identify the uniqueness of each person scanning their facial features, thus enabling the device to ensure that only the single person with the correct bone structure and feature placement can gain access. Every person in the world has a unique voice pattern, even though the changes are slight and barely noticeable to the human ear. However, with special voice recognition software, those tiny differences in each person’s voice can be noted, tested, and authenticated to only allow access to the person that has the right tone, pitch, and volume of voice. It’s surprisingly effective at differentiating two people who have almost identical voice patterns. As the adoption of biometric technology increases, it may decrease service related jobs but also create higher skilled work mainly in the area of software engineering, production, testing, implementation and maintenance of biometric systems. Today’s workers are faced with a unique challenge: maintaining strong employability in a job market that’s constantly changing and evolving with new industries and technologies. The U.S. Department of Labor reports that the average U.S. worker changes jobs every 4.6 years, making it more important than ever to be able to adapt to new career needs as industries change. If you’re a service industry worker now, anticipate the need to upgrade your technical skills to enhance your employability. Regard of what you do for a living, ensure your financial security by being relevant for work that is in demand and have skills that you have “reality verified” as marketable and in demand in a career field that interests you. Job seekers today are facing a never before seen employment marketplace with new rules and new technologies. There is a new mindset that is required to be successful in today’s employment market – unless you’re remarkable you’re invisible. Gone are the days were you could just post your resume on-line and wait for a call. Consider adding these components to your job search. 1) Share Stories Not Facts. There’s an old adage in sales and marketing that stories sell and facts tell. People can relate personally to stories. The more you know about the company and person that you are interviewing with, the better off you will be. 2) Present Solutions. An employer wants to hire someone to solve a particular problem. Either they don’t have enough of something or they want to fix/change something. And if they had all the solutions then they wouldn’t need you. So after you have thoroughly researched and analyzed the company, its culture, the competition, the industry and the people you are interviewing with, you need to know what potential solutions they may need and be able to communicate your ability to solve them. Any employer worth working for will be completely impressed not only by your research but by your diligence. 3) Be Proactive. Most people don’t want to put forth the time and effort to do what they need to do to secure an interview and a job. The vast majority of jobs are attained by active networking – not by posting your resume on-line or applying for job after job. Yet most people are not willing to do what it takes to establish and nurture the right networks. Focusing on building relationships can mean the difference between having or not having network contacts and ultimately getting a job. 4) Be Interesting. Surveys of recruiters and HR managers show that the #1 trait that job seekers lack is high energy. People want to be around other people who are upbeat, exciting and at the very least, energetic. If you’re not excited about what you have to offer, why should anyone else? 5) Speak multiple languages. People get information in 3 ways; Auditory, kinesthetic and visual. Auditory learners can grasp information just by you talking to them. Visual learners need some form of pictures or stories to create the picture before they “get it”. Kinesthetic learners need to be an active participant before the information gets through to them. Most people are visual. Why do you think that Google paid big dollars for YouTube? Because video appeals to the masses in a way that written text never could. Try to appeal to an interviewer’s preferred style. It’s difficult to be sure what the interviewer prefers, so ALWAYS make an effort communicate in all 3 styles. 6) Don’t Be A Quitter. Most people quit too soon. Studies show that 81% of professional sales people take 5 calls to close a sale. However, 90% give up prior to making that critical 5th call (48% quit after the first call and another 24% quit after the 2nd call). 7) Have A Remarkable Resume. Your resume won’t get you the job or interview but it can lose it for you. Make an investment in a resume prepared by a professional. You need to work with someone who knows what employers want and can make your resume sell, not just tell. The # 1 reason someone initially reviews your resume is to rule you OUT! 8) Be A Giver Not A Taker. If you are always looking for what a company is going to do for you and what your benefits will be, then you are thinking backwards. Everyone’s favorite radio station is WIIFM (what’s in it for me). Focus on what you can do to help the employer as a solution provider instead of a job searcher. 9) Be Prepared. For every minute you spend planning, you save 10 minutes in execution. That’s a 1000% return on your energy. Remember that more often than not, “Chance Favors The Prepared Mind”. It’s a buyer’s market so you better have the right product. Now more than ever, make your job search a process, not just an event. 90% of job searchers post their resume on-line and wait for a call. 10% of job searchers build relationships. Most jobs are filled through referrals and relationships with people. Focus on people, not postings, and the results may surprise you. Your qualifications are a key factor in you getting hired however the impact of competition is a variable that many job searchers forget.There are over 1 million job listings and over 40 million resumes posted on Monster.com. 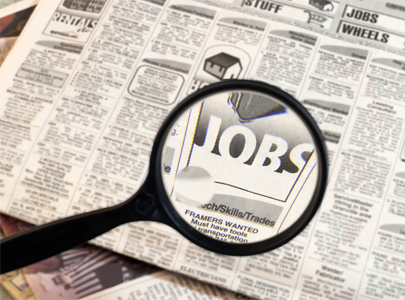 CareerBuilder distributes its resumes to over 1000 local newspapers and job search websites. With all of these people looking for work, how will you be noticed? If you are an IT professional, you are competing with millions of workers worldwide in today’s plug and play web linked services market. Consider the impact of gotomypc.com. It allows anyone in the world to access a Mac or PC from any Web browser in real time. So if you are a Network Engineer in Thailand, you can essentially compete with anyone in the U.S. Think about it. A company advertises for a sales account manager and gets 2000 resumes. 10 applicants have a personal website link embedded on their resume highlighting what they can offer along with a blog link that offers insights into how to develop sales strategies. 5 show up on Linked-in and 7 were referred by current employees who met the candidates at a sales conference. Who gets an interview? Understanding how to compete with your competition and creativity thinking about ways to get noticed is what can make the difference in getting hired or getting ignored. Build a digital profile of who you are and what you have to offer. Then give someone a reason to pick you. In 2014, finding a job is all about customization of a Personal Employment Offer and actively promoting yourself for a job. With most job search tools free and capable of powerful research and networking, success in making a job connection will likely result from multiple factors over time, not the typical sequential process of applying for jobs and hoping to be a match. People think the Internet has changed everything about job search but it really hasn’t. The best way to find a job is still building a track record of measurable results, marketing your achievements in a compelling way and connecting with influential people to get interviews. All the Internet has done is give us new ways to accomplish these things on a larger scale and primarily through digital tools. Once you recognize that job search is a process not an event, you are on your way to developing your own Personal Marketing Plan that focuses on what you can offer and represents your “employment offer”. Ultimately you have to OWN and be accountable for keeping yourself relevant and marketable in the job market. The cost effectiveness and time savings has made pre-screening Skype interviews a common interviewing trend. How you handle the process can demonstrate to an employer that you are technically savvy. Zappos candidates get a 3 part interview process. A recruiting phone/ video screen usually on Skype, a technical phone screen and a 2-part onsite interview. These assessments ensure that a candidate has the skills needed to do the job and they are a culture fit for the company. Interviews are carefully constructed to determine if the applicant is technically qualified, will fit into their corporate culture and wants to truly work with the Zappos team versus just want a job. Interviewers pay close attention to the types of questions applicants ask during the video interview and during a tour of the Zappos corporate office. They are looking for a genuine interest and excitement, not just a good resume. The cover letter is not dead. It is your best opportunity to match your experience, education and skills to what the employer is looking for. Tell the employer what you have related with what THEY need and BE SPECIFIC! Generic covers are a thing of the past. Forget about the concept of applying for a job and FOCUS ON BUILDING RELATIONSHIPS with Hiring Managers from companies you want to work with. You need to put together a branded presentation that you take to an interview. Developing an interview presentation prepares you for an interview and makes you stand out from your competition by clearly defining how you can help an employer make money, save money or solve a problem. Personalize your resume and cover letter for each job you apply to. Online applications make it easy to apply to lots of jobs using the same resume but take the time to consider each job individually and customize your resume (employment offer). Keep in mind that unless you’re REMARKABLE, you’ll be invisible. Identify your “target market” by developing a list of companies you want to work for and then research the companies with the specific goal of identifying people to contact within the company. In today’s competitive job market, targeted networking and ongoing marketing are more crucial than ever. Don’t look for what’s available, go after what you want! Invest the time to architect the lifestyle you want tied to multiple streams of income. Forget about employment security – think INCOME security. Develop a strategy to truly build a career that is satisfying and offers you income as fuel to get what you want and enjoy a REMARKABLE life. Make your discovery of income security a process that leads you to building great relationships and referrals. Who Are You? Who Do You Know? What Do You Do? In 2010, Google built social networking tools into Gmail, Google Talk, Google Reader etc. If you use Google products, the company already knows your contacts, your interests and where you go on the web. Think about it: Applications are better when they know who you are. Google’s focus on digital social networking should be an indicator to you that social networking needs to be a key part of your job search strategy. Gone are the days when you just send of resumes for jobs listed on job boards and hope to get a reply. The NEW employment marketplace requires you to actively build a social network to establish RELATIONSHIPS that will lead you to your next job. Google Social Search was launched as a test product last year. When a user opts into the feature, you see on the search results page a list of your “social circle” tied to Google data. It includes people you’re connected to on Twitter, Gmail, Google Talk and Linked-In and other public networks. Google’s strategy to support interoperable, open community-driven standards will change the way you can build digital relationships using a fast evolving socially networked web. Consider Google’s development of PoCo and WebFinger. Portable Contacts (known as “PoCo”) is an open standard that aims to make it easier to access “who-you-know” information in a secure way. WebFinger lets people attach public metadata to emails. Your Gmail address will soon become your on-line ID. It’s taking something everyone knows on the web (your email address) and making it immensely more valuable as a way to identify yourself and share information about you. Connecting with people is getting easier. Access to contacts and information about others is just a click away. Take time now to develop your contacts, set-up a system to manage your contacts and build your “personal brand” as a digital identity on the Internet. Everyone knows that the riskiest financial strategy is to have all of your money in one stock. Yet for most working people, they have all of their income dependent on one company. Think about it. If you lose your income, almost everything else in your life will be affected. Why then should you entrust your financial security to one company or one career. An eBay business where you can sell an on-line product that adds extra part-time income. A part-time job where you teach a night class. Work weekends doing a job that offers a secondary cash flow that can teach you new skills. Write a book where you can earn residual income – you do the work once but keep earning money over time. 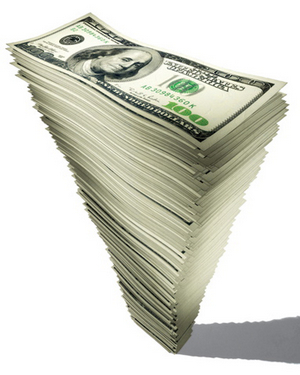 Set up affiliate marketing links on a Blog to earn referral income automatically. Now more than ever, the Internet offers most of these options for little, if any investment, other than your time. Think of your career as an income portfolio instead of tasks that you do. Track the results you get for your effort and focus on what earns you the best return for your time. 1. Focus on Cash Flow – Careers today are moving away from the traditional 40-hour work week to more self-directed opportunities for generating income. The jobs of the future are becoming project based and tied to multiple employers who need your services periodically. 2. Know Your Rate of Return – There are often different ways to achieve the same career goal. Some ways may take less time but produce the same result. Calculate your rate/hour and try to maximize what you earn for what you do. If your earn 100K but have to work 70 hours per week you’re only earning $27.47 / hour. Use your time more effectively and you could work less and earn more per hour. 3. Manage Risk – Find a mix of income opportunities that align with your talents to minimize risk and the stress of trying to start something outside your area of expertise. Think of ways your income sources can complement each other. 4. Invest in Yourself – For most people, training stops when they graduate from school. Invest in yourself by setting aside time and money to use for continuing education to stay current in your field and learn new things that may make you more valuable. 5. You Can’t Manage It if You Can’t Measure It – Many people actively manage how they choose their career and a company, but passively manage how they will develop their career. Too often they wait for a layoff or job dissatisfaction to motivate them to start a new career track. Periodically evaluate what results you are getting tied to what you are doing. Set up a simple spreadsheet and “know your numbers”. Then decide how you can improve your results. A money market investment typically protects investment principal while providing a modest return. Think of your career development like a money market. It’s careful balancing of investment risk to reward where time is your investment and multiple income streams are your reward. For most of us, when we graduate from high school or college, we assume it’s time to go out and get a job. Because you only get paid when you’re working, you are essentially “renting” yourself and trading income for time. The key is to separate your value from your time by either adding a way to increase your income with an added commission or some payment based on results not just time. A job only gives you experience at that job. You might think it’s important to get a job to gain experience. But if your skills ever become obsolete, then your experience won’t be worth much. Ask yourself, “What will the experience you’re gaining right now be worth in 5 years?” Will your job or skills even exist or be in demand? Many employees believe getting a job is the safest and most secure way to support themselves. Look at the increasing number of layoffs and contractors in the workforce along with the amount of work being outsourced to other countries. Does having only one source of income truly give you employment security? Could your job be digitally outsourced to the Internet (consider on-line university classes and buying books from Amazon instead of a local bookstore). Many people find that their jobs are their primary social outlet. They hang out with the same people working in the same field. Yet relationships are the key to get a job and increase your value to others in the business world. In today’s world, it’s what you know AND who you know that counts. Realize that you want to earn income by providing value — not just offering your time. You can apply this concept working with an employer or by starting your own business in addition to working for a company. The key is to find a way to have multiple streams of income along with one that offers residual income. Stop looking for a job and focus on providing valuable services. Employers and customers will be calling YOU for work. 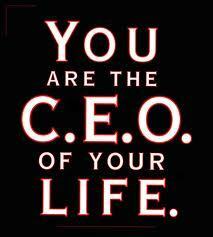 Now more than ever, understand that YOU are the CEO of your life! Take a look at today’s job market and you’ll see that how you are perceived has a lot to do with your marketability and perceived value. Packaging is important! Go to a grocery store and notice that most people will not buy a can of corn that is dented even though the contents are fine. Perception is reality. Consider this true story: A violin player played in a Washington, DC metro station for 45 minutes. During that time, 2000 people walked through the station, most of them on their way to work. After 3 minutes a middle aged man noticed there was a musician playing. He slowed his pace and stopped for a few seconds and then hurried to meet his schedule. Four minutes later, the violinist received his first dollar. A woman threw the money in his tip hat and continued to walk. Within 10 minutes, a 3-year old boy stopped, but his mother encouraged him to keep walking. The child stopped to look at the violinist again, but the mother pushed hard and the child continued to walk, turning his head toward the performer. Only 6 people stopped and listened for a short while. About 20 gave money but continued to walk by. The man collected $32. After he finished playing, no one applauded. No one knew this, but the violinist was Joshua Bell, a world famous musician. He played one of the most intricate pieces ever written on a violin worth $3.5 million dollars. Two days before, Joshua Bell sold out a theater in Boston where the seats averaged $100. To become remarkable AND marketable, you need to portray yourself on-line and off-line as exceptional among your professional peers. Your LinkedIn profile, your resume, the books you read, your Twitter contacts, events you attend, where you market your talent and your social network are all clues to others about who you are and either identify you as ordinary or EXTRAORDINARY. Today, more than ever, you need to curate a digital and in-person persona that radiates your talent and identifies you as a valuable resource within your area of expertise. Take a moment and look in the mirror. What do you see? Adlerian psychology reminds us that all behavior is purposeful. 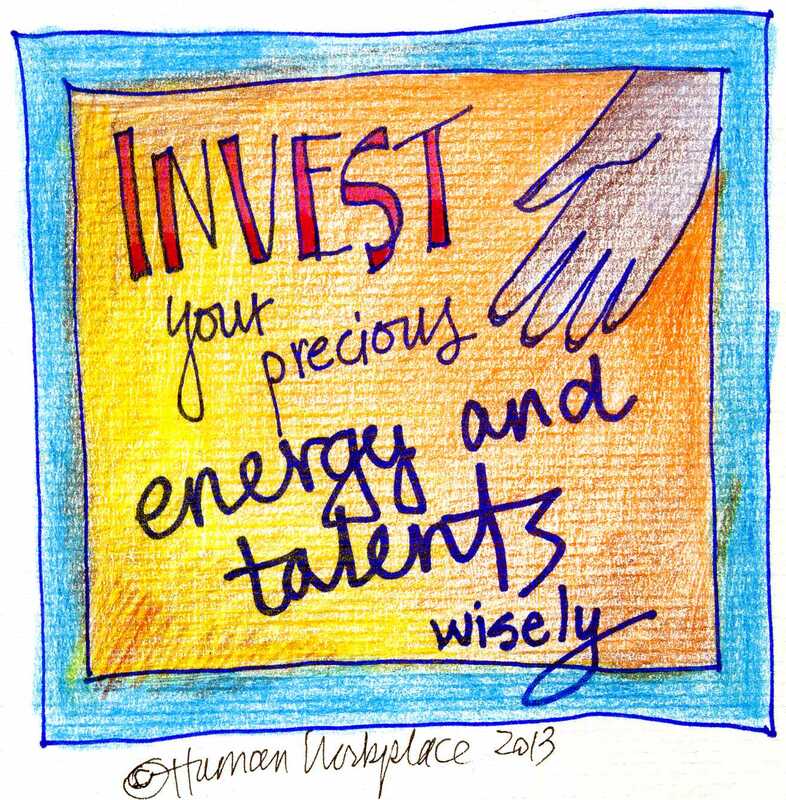 What you invest your time and effort in will ultimately determine your career success and define who you are to others. You will become the person you think you are. 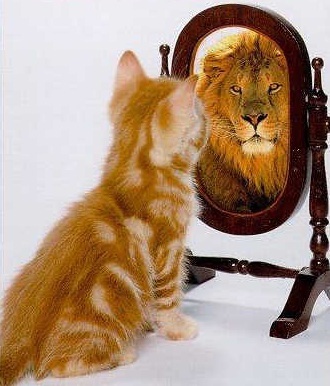 How you perceive yourself and how others perceive you are the secret ingredients to becoming REMARKABLE. Perhaps having a clear picture of what you want to be is the secret to becoming what you were meant to be. The Hidden Ingredient – Fast Food Secret Revealed! In our day-to-day pursuit of a great career, a balanced life and yes, even a great lunch, we have so many options. But if you take a close look, even with all these options, there’s something special that brings people into their “favorite place”. It’s usually not the price or just the quality of the food – it’s the “culture” or the RELATIONSHIP the customer has with the food brand or its employees. Consider Jack in the Box, with 2,200 locations in 18 states, just one of over 50,000 fast food restaurants in the US. It’s “Munchie Mobile”, a 34-foot long truck is inspired by 1970s van art. On the outside is a menu displayed on a flat-screen TV, while the inside is equipped with a grill, fryer and toaster. The “cool factor” of this showing up at an event is amazing. If you study the “Jack” branded spokesperson, you get the feeling that he’s connected to you as part of your family. The TV ads, the napkins and even the cups have messages that are endearing. Think Southwest airlines. Jack in the Box and Southwest are in different businesses, yet both focus on building strong relationships with their customers. Periodically, I stop by a local Jack in the Box in San Diego just to experience the “brand”. Almost every time I stop in, I’m greeted by Nancy. I never have to ask for my extreme sausage sandwich without cheese. She just confirms my preference and makes me feel like I’m a VIP customer. Her attitude always comes with a genuine smile and a “how’s your day going comment” that makes me feel that my business is truly appreciated. Stop and watch her for 5 minutes, and you’ll see her dedication to delivering the food fast and always with a genuine attitude of “we appreciate your business”. Price and product are secondary to what is a great employee-customer relationship. Now more than ever, truly remarkable companies and people are focused on building great relationships. Anyone that has ever run a restaurant knows that, it’s not the new customers that keep you in business, it’s the RETURN VISITS from EXISTING customers. In a global employment market, price, availability and quality are important, but true greatness comes from building great relationships. A few years ago, I flew to London on Virgin Atlantic and arrived in England late due to delays at the departure gate. As I walked off the plane, I was handed a letter auto-signed by Richard Branson that apologized for the delay and offered me 10% off on my next flight – a $90-$150 gift. Six months later, I was in Australia on a Virgin Atlantic flight. I never checked competitive airfares. If you want to get inspired by seeing the amazing power of relationships, watch The Pixar Story, a documentary of the history of Pixar Animation Studios. Pixar is the studio that produced Toy Story, an animated movie that earned $361 million worldwide. It’s available on Netflix – here’s a preview – http://www.youtube.com/watch?v=aU1fVeYzYlI. Today with all the social networking tools like Twitter and Facebook, it’s easy to collect “contacts”. But to truly be successful in business and in our personal life, it’s the power of relationships that can take us from good to great. We are all in the “people business”. Nancy at Jack in the Box is an expert. Her remembering that I like my extreme sausage sandwich without cheese, highlights the secret to winning in business today. Many of my clients report that they have applied to job postings that are a perfect match to their qualifications but never hear anything from a potential employer. Perhaps it’s a fake job posting. Why would a job board allow ‘fake’ job postings? 1. Thousands of jobs are posted on sites each week. The job board can’t tell fakes from real jobs. The only requirement is that someone pays for the listings. 2. Employers and Recruiters use these listings to gather resumes for future needs. If they buy 30 job postings, but only use 20 and the unused postings expire in 30 days, they run some fake listings to collect resumes for future hiring? 3. Non staffing companies post fake jobs to collect names for on-line solicitation calls and sales leads to sell to other companies. 4. Some recruiters make a fake employer site including a corporate logo that redirects resumes directly to the recruiter to get candidates before the employer sees them and the recruiter loses a commission. 5. If someone has already been chosen for a job, the employer wants to appear to be offering the opportunity to everyone who is qualified. 6. Staffing firms want to appear to be “the connection” for jobs – more job postings equal more interested candidates. 7. Large firms sometimes post 700+ openings but many of them are actually “wish lists” for “potential” jobs IF a contract is awarded. 8. Recruiters want to get your resume and send it to an employer without a job requirement thinking that they will get a commission if a match is made tied to a typical 1 year” finder’s fee” contract provision. 9. In extreme cases, identify thieves post fake jobs looking for resumes where people list their social security number or they get applicants to disclose this confidential data over the phone as part of “verbal application”. For the most part, most postings are real but it’s important to know that some are not what they seem to be. The lesson here is: Be selective in who you apply to and don’t rely on postings as the foundation for your job search. Focus on building relationships where you are dealing with real people instead of digital strangers. Follow TheJobClinic Blog via Email.